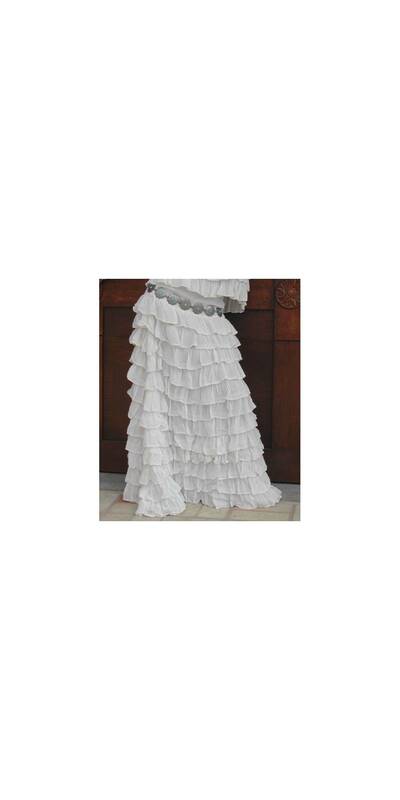 Flamenco Ruffled Skirt by Marrika Nakk pairs A-line design with fantastic ruffles leading from the hips down the floor to highlight the way you move. By buying this product you can collect up to 59 loyalty points. Your cart will total 59 loyalty points that can be converted into a voucher of $14.75. Marrika Nakk’s Flamenco Ruffled Skirt pairs A-line design with fantastic ruffles leading from the hips down the floor to highlight the way you move. Formed from Rayon Georgette, it also features an attractive waist panel. 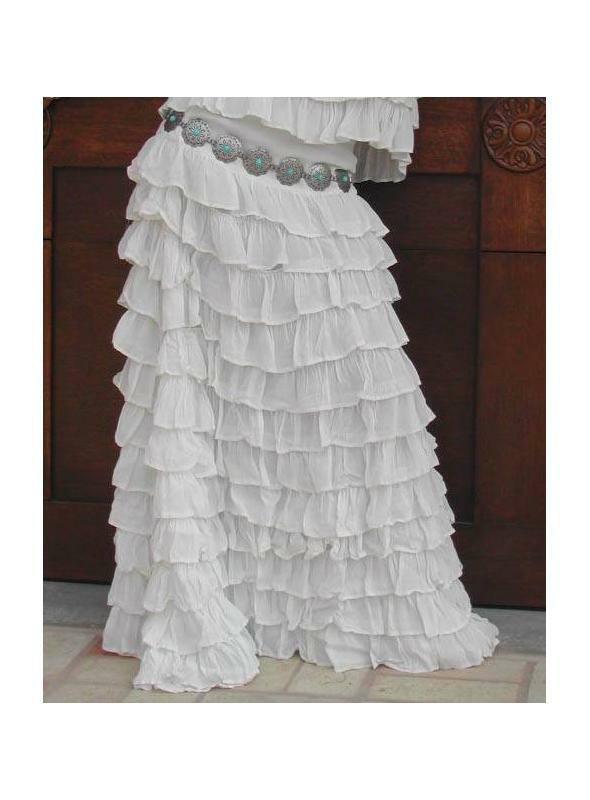 Marrika Nakk’s Flamenco Ruffled Skirt pairs A-line design with fantastic ruffles leading from the hips down the floor to highlight the way you move. 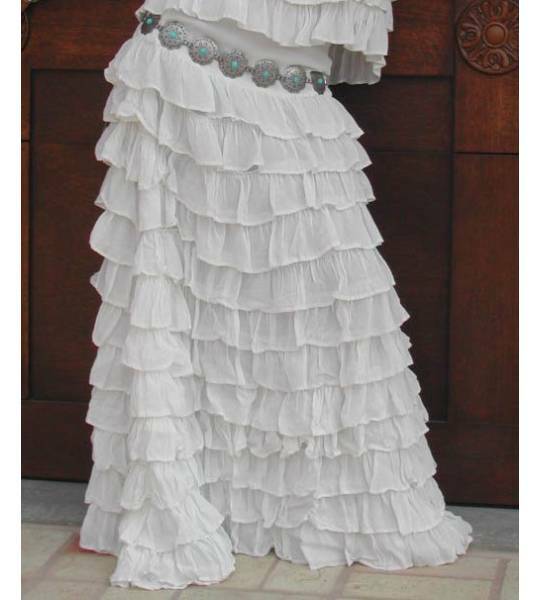 Formed from Rayon Georgette, it also features an attractive waist panel. Slip into it easily with the side zipper and prepare to swing your hips just for the joy of it. Marrika’s Spanish Top makes a perfect partner.